The Niners don't get many breaks facing several early road games and December games against the Rams and Seahawks. 2019 49ERS REGULAR SEASON SCHEDULE: Sept. 8 at BUCCANEERS; Sept. 15 at BENGALS; Sept. 22 vs. STEELERS; Sept. 29: BYE; Oct. 7 vs. BROWNS (MNF); Oct. 13 at RAMS; Oct. 20 at REDSKINS; Oct. 27 vs. PANTHERS; Oct. 31 at CARDINALS (TNF); Nov. 11 vs. SEAHAWKS (MNF); Nov. 17 vs. CARDINALS; Nov. 24 vs. PACKERS; Dec. 1 at RAVENS; Dec. 8 at SAINTS; Dec. 15 vs. FALCONS; Dec. 21 or 22 vs. RAMS; Dec. 29 at SEAHAWKS. San Francisco missed on two top receiver targets. There still is hope, though the draft is short on top-level receiver talent. The 49ers announced their preseason opponents on Tuesday. Not technically a schedule, mind you, just the week and the opponent: Week 1: vs. Dallas Week 2: at Denver (Monday Night Football) Week 3: at Kansas City Week 4: vs. LA Chargers All times and dates will be announced when full schedule is released later this month. It seems clear the Niners will take Josh Allen, Nick Bosa or another pass-rusher. That adds to a deep group, but there are interesting ways it works. Ex-AAF defensive lineman Damontre Moore is making his return to the NFL on a one-year contract with the San Francisco 49ers. The Niners are standing pat with a secondary that put up bad numbers. An improved pass rush and the draft could help, but results need to come. Many mock drafts have Arizona taking a QB and the Niners taking someone such as Nick Bosa. It leaves Kyle Shanahan & Co. a lot to think about. Adam Schefter talks to 49ers coach Kyle Shanahan about San Francisco's plans for the draft, the young coaches in the NFC West, the club's pursuit of Le'Veon Bell and Odell Beckham Jr. and more. Lynch and Shanahan have 10 wins in two seasons with the 49ers, but York's plan all along has been for long-term stability. Clem Daniels, a former Oakland Raiders running back, has died at age 83. Mentioned this in December but 49ers coach Kyle Shanahan said Tuesday that QB Jimmy Garoppolo spent parts of December watching film and staying up on the offense with Mike Shanahan, the former Broncos coach and Kyle Shanahan's father. Shanahan said it was helpful because he couldn't work with Garoppolo as he was preparing other quarterbacks and setting up the game plan. Asked if he considered having his dad as an offseason tutor for Garoppolo, Shanahan said he didn't think that would quite work out, for the protection of marriage: "You could but my mom does want her husband to live with her and my wife would kill me if my dad was here all the time," Shanahan said. "So it wasn't that big of a deal. It was just neat to have that. I think they both enjoyed it and I think my dad really enjoyed it too. He loves talking football so it was neat to get him to do that." 49ers GM John Lynch confirmed four of the team's 30 official pre-draft visitors on Monday morning and none come as a surprise. Ohio State DE Nick Bosa, Alabama DT Quinnen Williams, Michigan DL Rashan Gary, Kentucky LB/DL Josh Allen will all pay a visit to Santa Clara in the weeks leading up to the draft. All are considered candidates to be the No. 2 pick in the draft. 49ers GM John Lynch said Monday morning that the plan is for RB Jerick McKinnon to be a Niner in 2019. After signing Tevin Coleman in free agency, there had been speculation the team might move on given its depth at the position and McKinnon's price tag. But Lynch said the Niners are looking forward to McKinnon's return: "Jerick is going to be a part of us." Lynch said team is excited to get McKinnon back and healthy with rest of the backs. One of the topics up for discussion at this week's owners meetings in Phoenix is the possibility of playing a game in China, perhaps as soon as 2020. 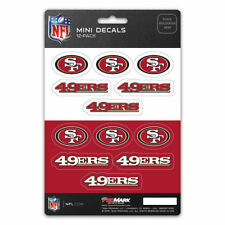 The idea has been rumored for a few years with the 49ers considered a possible participant. The league has continued to try to work through logistical issues and will have a presentation on that this week. Maryann Turcke, the NFL's COO, said Monday that the presentation on international games to ownership will be done in next 24 hours and a press briefing from those presenting will follow. The 49ers were the league's worst at creating turnovers. In free agency, they spent big to try to correct that problem.